Hitoyoshi"- Little Kyoto" SUBPAGE | All Japan Kyoto Association"
Hitoyoshi is the place which appeared in the traditional Joruri puppet play, “Igagoe Dochu Sugoroku” as an escape destination. The place is surrounded by the Kyushu Mountains and one of the three most rapid rivers in Japan, the Kuma River, runs east to west through the middle of the city. The city has a nostalgic atmosphere together with abundant nature with pure water and fresh greenery, along with some 80 hot spring sources. The city was also nourished as the castle town of the Sagara Family and its unique culture is often referred to as “Sagara culture” and many shrines, temples and Buddhist statues from the Kamakura period (12-14 century) still remain. Recently, Hitoyoshi is receiving much attention from all over Japan for having retained its Buddhist art treasures from the medieval era. The place was designated as a “Japanese Heritage” by the Cultural Affairs Agency in April, 2015 for possessing many cultural heritages, old remnants and customs. 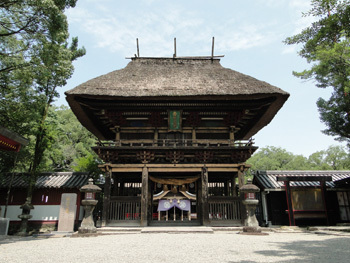 This is the most well-known shrine in Hitoyoshi Kuma, which was built in 806, some 1,200 years ago. The shrine was made by exploiting the vast moor in the Aso area of Kumamoto Prefecture and enshrines three separate deities of Aso’s twelve protective gods, enshrined at the foot of Mt. Aso. These enshrined three deities are: the first Emperor Jinmu’s grandson, Takeiwatatsu-no Mikoto, and his wife, Asotsu Hime-no Mikoto and their child, Kuninomiyatsuko Hayamikatama-no Mikoto. The architecture is in the Momoyama style (end of 16th-early 17th century). Five of its main buildings, including the main hall, Wata-dono connecting corridor, Hei-den pavilion and Hai-den prayer hall and Ro-mon gate, were designated as a National Treasure in June 2008. Amongst the still existing shrines with thatched roofs, this shrine was the first to be designated as a national treasure. The Sagara Family resided at Hitoyoshi Castle until 1868 of Meiji Restoration and ruled over the surrounding Hitoyoshi Kuma area. The castle is also known as Sengetsu-jo. Hitoyoshi Castle was an impregnable natural fort, with the Kuma River in the north, the Mune River to the west and steep mountains on both the east and south sides. However, almost all of the castle town was destroyed when the city suffered in the Torasuke Great Fire in 1862; only the stone wall survived. 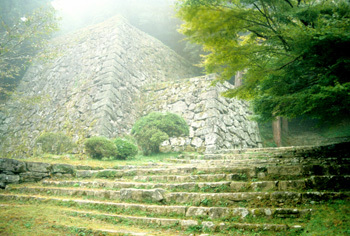 This stone wall has a very unique structure called Hane-dashi Musha Gaeshi, in which the higher the wall climbs the steeper it gets to protect against an enemy invasion. This is a popular destination to enjoy cherry blossom in spring and colored leaves in autumn. 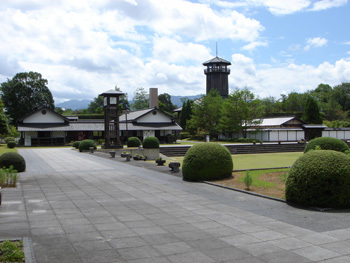 In 2005, Hitoyoshi History Museum was opened at the site close to the castle ruin. Hitoyoshi Castle was designated as one of the 100 Best Castles of Japan in 2006. 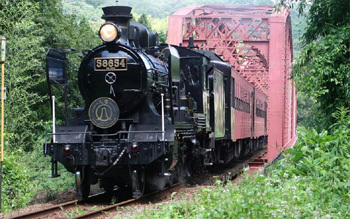 The Hisatsu Line has an entire length of 124.2 km from Yatsushiro Station to Hayato Station, running side by side with the Kuma River which threads its way through a mountainous area. The 24.8 km long Kumagawa Yunomae Line, running between Hitoyoshi and Yunomae Station, crosses the Kuma basin from east to west. On these two lines, there are four sightseeing trains departing from Hitoyoshi Station known as; “Kawasemi Yamasemi,” “SL Hitoyoshi,” “Isaburo Shinpei” and “Den-en Symphony.” Enjoy the panoramic view from these nostalgic train’s windows. 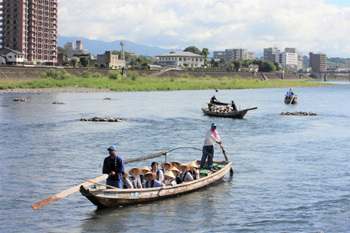 This is a thrilling river ride going down one of the three most rapid rivers in Japan, the Kuma River, on a wooden boat. This boat was said to be used as a form of transport for Sankin Kotai (alternate visit to Edo by feudal lords) by the Sagawa Family during the Edo period (17th-19th century). Enjoy the moving beautiful scenery from the boat similar to that the feudal lord enjoyed in the past. People can choose from four courses; short, middle, long and rapid. From December to February, the winter version boat with a Kotatsu warm table is available (reservation required). A facility where people can learn about traditional crafts in Hitoyoshi Kuma. Inside the park, there are several sections offering different kinds of experiences, including the Crafts House, Pottery House, Blacksmith House, Copper House, and Wood Working House. Here, visitors can try many kinds of experiences from painting on a Kiji Uma (a bird shaped wooden toy), pottery, metal workshop, glass workshop to making a silver ring. Local products are exhibited and sold at the souvenir shop. Also, there is a campsite and a selection of playground equipment, so everybody can spend a good time here. Many kinds of events are held at the park one of them being the Hina Matsuri Girl’s Day Festival, during which time lots of special experience programs will be held. Admission is free (experiences are charged). Enjoy rafting down one of the most rapid rivers in Japan in a rubber boat. The Kuma River is the only place that offers such a rafting experience in the entire Kyushu area. A veteran river guide is aboard each boat, so beginners and non-swimmers are also welcome. Courses are available from half-day to full-day and more. 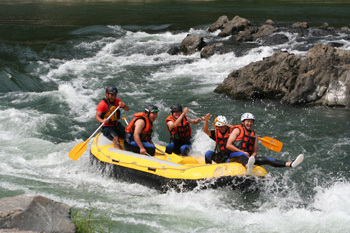 For details, visit Kuma-gawa Rafting Association’s website. This event marks the arrival of early spring in the Hitoyoshi Kuma area. Pretty Hina Ningyo dolls will be displayed at more than 100 sightseeing facilities: the main venues are Hitoyoshi Craft Park, Ishino Park, Kokonoka-machi and Itsuka-machi’s Hitoyoshi Ohina-dori street, Kajiya-machi’s Hitoyoshi Ohina-dori street. Many fun and attractive events are scheduled to be held during the festival period. Also, “Hina-no-yado Inn Staying Plan,” “Ohina Gozen Meal Set” and “Ohina Kaiseki Meal” lunch plans will be available. Hitoyoshi Plum Park at Okoba Fumoto-machi town is one of the most famous plum groves in Japan with about 4,600 plum trees in the 8-hectare grounds. A plum was the Sagara Clan’s family crest during their 700 years ruling period and the plum is now the towns representative flower. The park’s hill will be covered with fully blossoming plum blossoms starting from the end of February to early March. 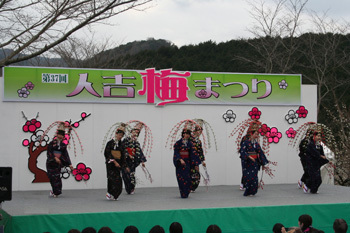 During the Plum Festival period, several local performing arts will be performed on the stage and local products will be exhibited and sold. You can savor the rich local cuisine, Kuma Shochu distilled spirit and Umeshu plum liquor. * Staged events are held on only one day. The festival’s main venue is set amongst the Hitoyoshi Castle Ruins, known as one of the Best 100 Castles of Japan. During the festival, a samurai parade, Kuma Shochu sampling and a discount on enjoying onsen hot springs throughout the town are some of the highlights. On the first night, the Jokamachi festival will be held on Kokonoka-machi Street, consisting of a dance and parade in tune with Kuma’s folk song and a Mikoshi portable shrine procession, both guaranteed to bring lots of excitement to the town. *The event will be held on the first Saturday and Sunday in the first week of May. 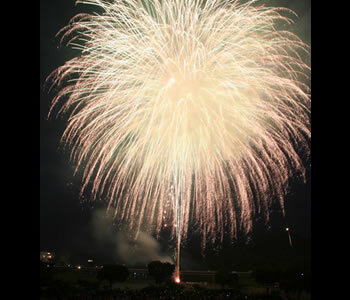 As a main event of summer, the Hitoyoshi Firework Festival will illuminate the night sky beautifully with some 5,000 fireworks. The festival venues are Nakagawara Park, located on the Kuma riverfront running in the middle of the city, and the Furusato History Park situated within the Hitoyoshi Castle Ruins. Because the fireworks’ launching spot and the viewing spot are so close, observers will be able to watch the fireworks directly overhead in a dynamic surrounding. This is the annual festival of Aoi Aso Shrine, designated as a National Treasure in June, 2008, to celebrate the day when the deity was enshrined on September 9th of the old lunar calendar. This date was regarded as the luckiest day, since in former times the lucky number ‘9’ is doubled on this day. 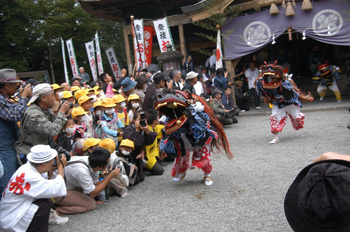 During the festival period, several events will be held. 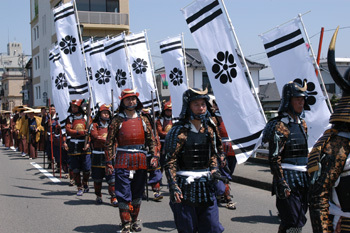 A fire prevention prayer will be held on the 3rd, Kuma Kagura old ritual dance which was designated as an important intangible cultural property by the government will be held on the 8th and Shinko procession will be held on the main festival day, the 9th. This is a festival in which traditional culture and past practices have been inherited and cherished over the 1,200 years of its long history. In the old legend, when the Taira Clan was defeated in the Battles of Ichinotani and Dannoura, some of the Taira members seeking a safe refuge scattered to live in Gokanosho, Kyushu’s mountainous area, or Kijiya and Otsuka located in a remote part of Hitoyoshi. These Heike members, who had once spent a luxurious time in the ancient capital of Kyoto, began to make beautiful wooden crafts remembering their glorious former lives in Kyoto and created Kiji Uma, Hana Tebako and Hagoita wooden crafts. Of all these, Kiji Uma has been a popular craft item for more than 800 years. Sizes vary from small to ones that are as large as a human and thus allow people to ride on them. They are all vividly painted in red, yellow and green colors. At present, a sightseeing mascot character of this Kiji Uma, “Hit-kun” is taking part in a PR activity in the town. The popular local products of this area are Kiji Uma, Hana Tebako and Hagoita all of which are wooden craft works first produced 800 years ago by the surviving members of the Taira Clan after they were defeated in the major battles. 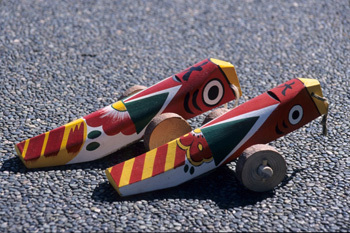 In the remote mountainous areas, survivors made these wooden crafts remembering their good old days in the former capital of Kyoto. The techniques for making these crafts have been passed down for generations and they continue to exist today after 800 years as major local crafts. 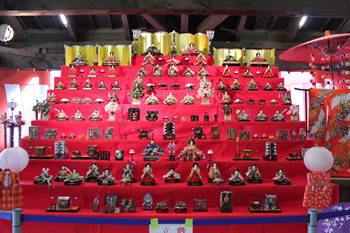 Travelers in the old times often bought Kiji Uma for boys and Hana Tebako and Hagoita for girls as a souvenir at the Ebisu market held in Hitoyoshi. 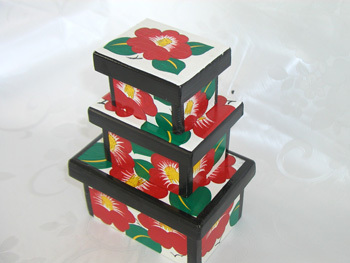 Many of them are displayed as a room decoration, while Hana Tebako is used even now as an accessory box for women as well. Kuma Shochu is a famous shochu, or distilled spirit. It is an authentic shochu for which only a good quality rice is used. Shochu made with the traditional atmospheric distillation manufacturing process has a strong and rich aroma and is very popular among old fans of this drink. Recently, a new reduced-pressure distillation manufacturing process was invented which can produce shochu with a fresh and mild taste. It is becoming popular among sake lovers as well. Many new flavors have been added to the range and you can enjoy drinking it straight, with ice or hot water. It can be used as a base for cocktails, too. The Ayu, or sweetfish, caught in Kuma River, one of the three most rapid rivers in Japan, has a supreme taste as their diet consists of good quality river grass. The first taste will impress you with its strong aroma and the second bite will let you enjoy its firm and crispy texture which may remind you of the rapid stream where the fish grew. Then, with the third bite, the deep flavor reminding one of the Kuma River itself will spread slowly from tongue to stomach. 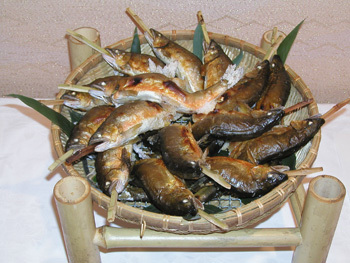 Well-grilled ayu can be eaten completely, including its bones and inner parts, too. The innards and eggs of fresh ayu are salted and eaten with kabosu (a kind of citrus), yuzu vinegar, sake or mirin sweet rice wine. This is called Uruka which has a unique bitterness. 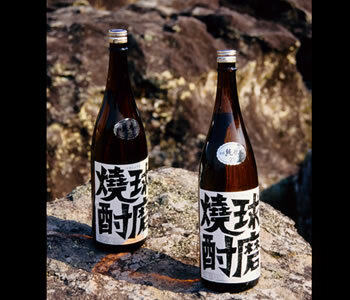 Uruka is only made from ayu that are caught in the Kuma River, one of the three most rapid rivers in Japan. The ayu found in the Kuma River are larger than general since they eat quality river grass. 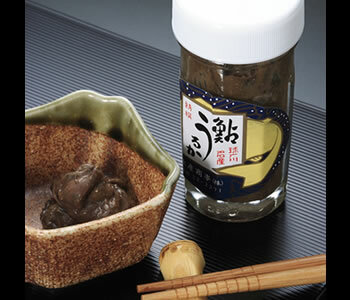 Since Uruka can’t be produced in a large quantity, this is a rare product even local people can’t enjoy often. A cuisine using wild boar caught in the mountainous Hitoyoshi area. 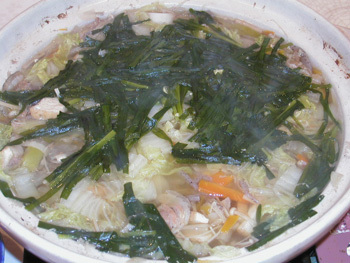 Wild boar meat can be enjoyed in various ways, such as broiling with salt, marinade with miso, and in a nabe hot pot. You can savor them in ryokan and eateries in the city. Warabi, Zenmai, Takenoko and many other mountain vegetables are found in the Hiyoyoshi mountains. 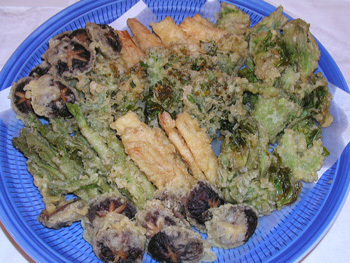 These mountain vegetables are often cooked as Tempura and with Okowa (sticky steamed rice). Every year in April, a Warabi picking picnic is held. Some of the farmer’s accommodations offer a mountain vegetables picking experience.